The following essay is not a collection of new and recent thoughts. I wrote this short essay for my student level 6 grading about one or two years ago. I've only made a few minor edits in the introduction since then. Hopefully, this will stimulate some thoughts! 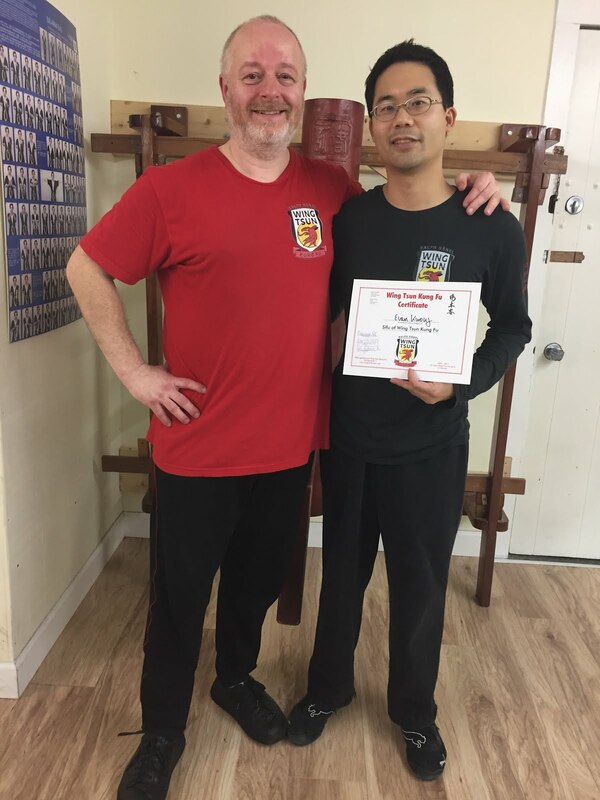 My personal hands-on experience in other martial arts is limited, and includes brief introductions to Tae Kwon Do and Hapkido over 10-12 years ago, so it is difficult for me to do a detailed comparison with Wingtsun (WT). Nonetheless, I believe that WT is a more effective system. Note that I state "system" rather than "style" - WT consists of a collection of crucial cardinal concepts (thought I'd try out some onomatopoeia here). Throughout my WT training, I have found that in addition to the physical training there are also many important concepts to learn. WT training provides martial artists with the skills, strength, techniques, and attitude necessary to apply these concepts in the most efficient and well-trained means possible. This is how it differs from other "styles" of martial arts. I believe that if these fighting concepts are used in all martial arts systems, one could excel and do extremely well. However, by training in WT one can progress even further. Many styles use this concept in essence, but more as an initiating event or a sudden burst of movement when the eyes see a clear path. For example, the initiation of a fight principally involves moving forward and attacking. And thus the first principle is achieved. However, throughout a fight itself, there are plenty of opportunities to illustrate and apply this concept, as it does not only mean the body moving forward, but also the tools that we use, namely our limbs. I mention limbs rather than hands, because in WT we use each and every joint of our limbs including the wrists, elbows, shoulders, back, hips, down to the knees and ankles. When we train our limbs to have forward pressure, we are preparing to use this principle from the stored energy ready to explode forward. This concept may be difficult to explain to any other martial artist without a similar training program of sticky hands. To grapplers it may mean turning into grappling mode with ground-fighting. In any case, this is a principle more suited to the practitioner of WT, as the combination of attacking and defending exponentially increases with the sticky contact of the four limbs. When people read or hear about WT, most have heard about Chi Sao (“sticky hands”). What is not very well known however, is that Chi Sao is not a means of combat but rather a form of training. In addition to the skills developed in Siu Nim Tao, Chum Kiu, and drills, Chi Sao trains the necessary reflexive sensitivity cardinal to WT. During combat, the reflexive nature of the sensitivity training takes place and the opponent is soon thrown into a storm of magnetic, flexible, yet strong bamboo canes. Quite often martial arts rely on “force vs. force” principles through blocks with the hands, forearms, or shins. It is also human nature to resist when being pulled, or defend punches by hacking at incoming punches or kicks. This third principle is often applied to softer martial arts such as Tai Chi. In WT, deflections and wedges are used to dissipate incoming forces. Although we train to have forward pressure with our limbs, it is a yielding fluctuating compressible forward pressure that is able to give way when necessary. As such we are then able to relocate the weaknesses and holes through which the attacks can return into. This concept is used in combination with the first two principles, by maintaining contact or following through with an attack when there is an opening. This can occur on a smaller scale when there is an opening through the arms or legs, or it can happen on a larger scale when the opponent physically steps back. This is a concept that is likely used in many martial arts with successive attacks. However, in WT we are able to apply this concept very well using efficient footwork, forward pressure, and effective chain punches. Most importantly, WT does not only rely on visual cues for reacting to attacks, but rather on forces and directions from whence they come from, employing absorbing movements but also maintaining a flexible forward pressure to gain advantages through openings. Thus there are no rehearsed defensive maneuvers being used, but instead a flowing synergy of attacking and defensive movements. In this short essay I hope that the reader has gained an appreciation of how Wingtsun is effective in training students to use fighting concepts and principles, specifically the four important principles of combat essential in any self-defense situation or fight. Although any martial artist can likely apply and adapt these four principles, WT training provides students with the necessary tools and reflexes to excel at applying these principles during any fight.